I’ve seen it time and time. Many businesses will have an address that is far from their desired customers. After running tons of local websites, I’ve come to know that this is not a great experience for the customer. And that is why Google will not show local results for businesses based far away from a local searcher. 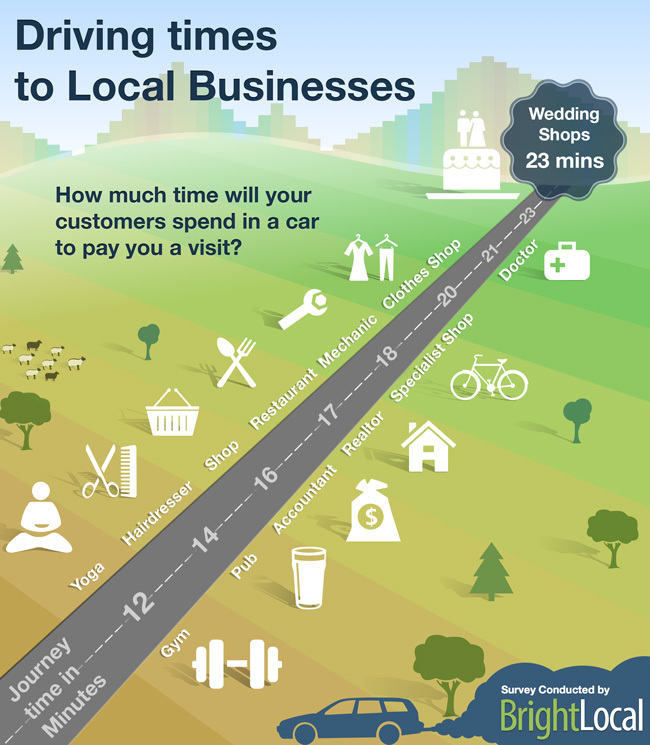 So what about business further away, especially service business (go-to-client)? Well, each industry is different. So the 17 minute rule is going to be a lot more true for a restaurant than a plumber. But when there are closer choices, you bet the preference is to show a closer business. And it’s not just Google arbitrarily deciding that, that is what the people want.